This is a must read. 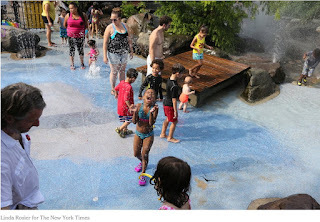 Excellent analysis of racially-inflected assumptions about innocence and childhood in America. Thanks to Dr. Bettina Love for sharing. Headed in August to Metro State University In Minnesota deliver a conference keynote and engage in a series of conversations with an array of folks there. Many Thanks to both Dean René Antrop-Gonzalez and The Coalition to Increase Teachers of Color and American Indian Teachers in Minnesota for inviting me. I am very honored! Looking forward to having a robust community conversation on how to improve the representation of teachers of color and American Indian Teachers in K-12 schools in the Minneapolis area. 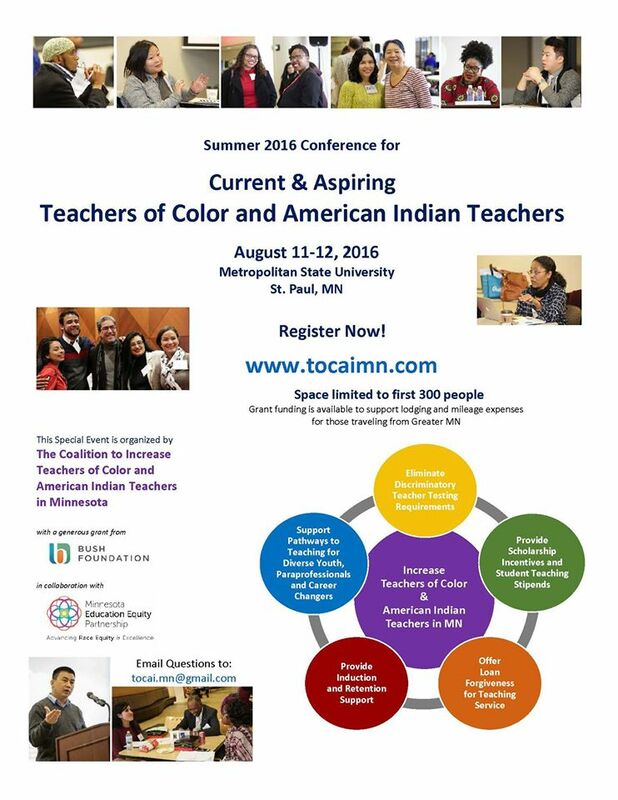 The Coalition to Increase Teachers of Color and American Indian Teachers in Minnesota is hosting their summer 2016 conference at Metropolitan State. The conference begins at 7 p.m., Wednesday, Aug. 10 at the Saint Paul Campus, continues 8:30 a.m. until 8:30 p.m. on Thursday, Aug. 11 and ends on Aug. 12 with panel discussions from 8:30 a.m. until noon. This conference honors the lived experiences and local knowledge of teachers of color and American Indian teachers by creating a safe and welcoming space in which current and future teachers are the primary participants. A core group of diverse coalition educators are planning the conference to include a series of general sessions and breakout sessions that seek to inspire, affirm, inform and energize. 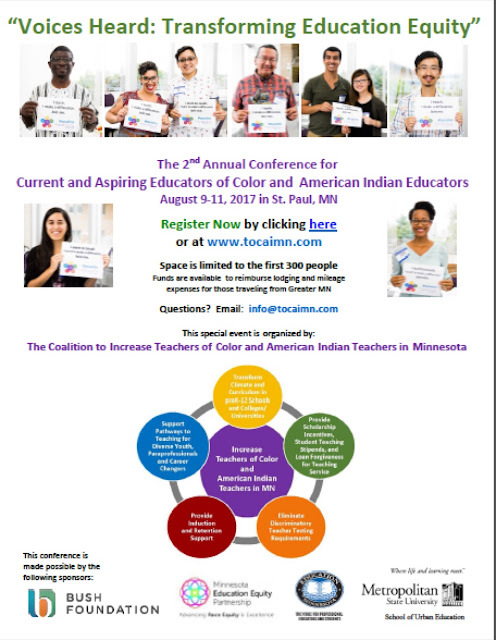 Participants are able to build power networks, develop legislative proposals and create action plans that remove barriers and transform state policy and local institutions to retain and increase teachers of color and American Indian teachers in Minnesota. There is no registration fee but registration is required as space is limited to the first 300 people. Grant funding is available to support lodging and mileage expenses for those traveling from greater Minnesota. Learn more about the conference at the coalition website or Facebook page. View and share the event flyer. Just came across this blog by renowned UT Art and Art History Professor and MacArthur Fellow Dr. David Stuart who specializes in the study of ancient Mayan civilization. Dr. Stuart is featured in the award-winning PBS documentary "Cracking the Maya Code" (NightFire Films, 2008). 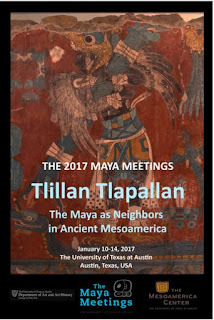 I was told that UT has the highest concentration of Mayan scholars in the country. They also host an annual conference that you can learn about here. Fascinating stuff! Perhaps I'll attend this conference myself someday. 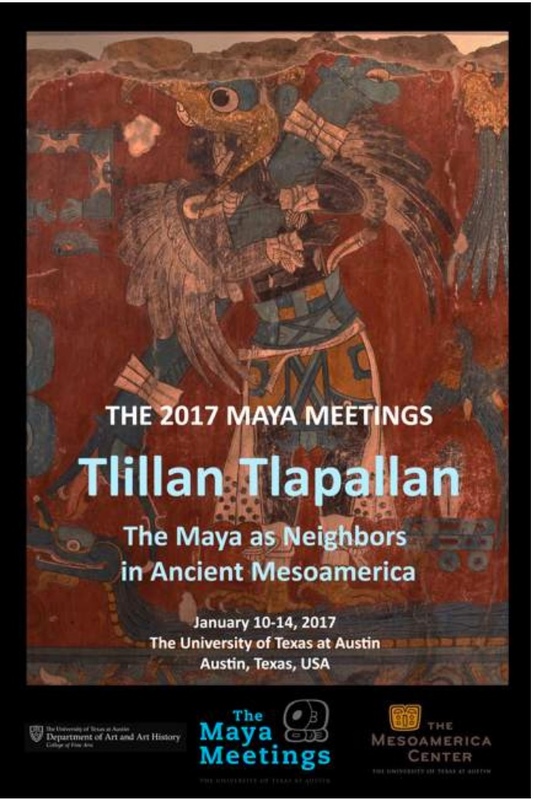 Maya Decipherment focuses on the dissemination and serious discussion of ideas related to Maya hieroglyphs and iconography, encompassing archaeology, linguistics, and other pertinent fields. It is not a personal blog. Submissions vary in length, but generally should never exceed ten pages (double-spaced). Please contact David Stuart at the email below regarding potential contributions and for more details on the editorial particulars. Blog entries are categorized within one of five categories: Articles, Notes, Archives, News, and Books. More categories may be introduced in the future, but for now this a good way to organize the varied sorts of contributions. Such a shocking and dreadful story that speaks to the vitriolic racism of White folks living in the Clifton-Morenci area of Arizona in the early 1900s—where my grandfather, Camilo Alfredo Rios, once worked as a miner by day and a minister in the evenings and weekends in nearby Clifton in the early 1940s. He preached alternatively in Baptist and Presbyterian churches, saying that Presbyterians were "Baptists in dry country," referring to the differences in baptism, submersion in water versus Presbyterians' sprinkling or pouring of water. I come from a long line of Protestant, mostly Baptist, ministers that were in fact founders of the Baptist church in Mexico back when it was viewed more like a religious sect—and still is in some places. This is the part of my lineage that is Sephardic Jew, successfully evading the Spanish Inquisition in the vast Sierras of southern Mexico. It's really interesting to see all these folks in the mountains of Guerrero who have been Protestant for generations in great part because of the many seeds that were planted and sown there in the early- to mid-1800s. My grandfather's father himself, Vicente Rios Pineda, founded 15 Baptist churches in Guerrero and Michoacán, many of them operating still today. My grandfather shared with his grandchildren stories about the wage discrimination that he experienced while working in the copper mines. It angered him that he would be required to train Anglos to do their jobs and how they would then make more money after that doing the same job for the same work right next to him. My grandfather's positionality as a minister combined with his social justice impulse that he had inherited from his own parents—found expression in his activism as a minister upon his being on the receiving end of this discrimination by Anglos in his day. He didn't understand this unequal treatment and it always angered him deeply. In the 1950s, my grandfather was involved in the desegregation of public establishments. He single-handedly as a minister desegregated the Concho River where the children used to swim—Anglos upstream, Mexican Americans midstream, and African Americans downstream. He and his sons desegregated the municipal swimming pool. There's a lot of important detail to these stories, of course. My grandmother worked, as well, to persuade the Protestant ministers' wives in town to tell their husbands to employ Mexican Americans for their businesses so that they did not have to leave San Angelo to work on the migrant stream so that the children could remain in school and get educated. These efforts, of course, led to significant changes over time, including the bringing down of the "No Mexicans or Dogs" signs at public establishments. Next to my parents, my grandparents were easily the most influential persons in my young life, growing up in my West Texas town of San Angelo, not very far from Austin—3 1/2 hours drive, which is a short distance by Texas standards. My grandparents had arrived in Morenci-Clifton after this "Irish Orphan Abduction" story had already occurred. I wish my grandpa were alive so that I could talk to him about this because he would have definitely known the details surrounding this case since he was deeply involved in the community. I encourage you to read the entire story. It provides insight into the history and complexities of race relations, including what often is an affinity between Mexicans and Irish folks. Through my maternal grandfather who was Spanish-Irish, our name is O'Hara. According to my DNA analysis, I myself am part Irish—10 percent. However, our family name is "Haro," because Mexican immigration agents couldn't say the name and "translated" it to another, more recognizable, one for Mexicans. Racial purity is such a profound, misguided myth. Race itself is a social construct—and a very powerful one, indeed. Aside from the atrocious way that these children's attempted-adoptions-turned-abductions were handled, a deeper concern is with how these Irish children, members of an ethno-religious group, were forced to become white—and violently so. We often think of these racial categories as fixed and unchanging when, as this story exemplifies, race is best understood as a process of "racialization" which means a coming into being. We largely assume that race is natural, like the "air that we breathe," when, in fact, it is a deeply historic and profoundly lived aspect of our existence—for minorities and majorities alike. The best book to read on this, in my opinion, is Michael Omi & Howard Winant's, Racial Formation in the United States. They theorize a credible, well-documented framework on an historical process that they term, "racialization." Slavery has always existed, unfortunately. But historically, one never enslaved a race. One enslaved a people who could be of any hue. So race is a modern construct and related to the colonization of this continent by settlers who in the span of time—abetted by machinations and artifice—come to see themselves as superior and entitled to their status within the extant social (racial and economic) structure of society. This story on Arizona screams white entitlement. I'm not pointing fingers here. I am a teacher. I am asking what can we learn from this story? It is an important question, lest we open the door to even darker ways of knowing and being in the world. In what world would a scenario like this ever be acceptable? I frankly don't care if it's the "lawless" Wild West. How convenient...as if that were an explanation. However casually, unknowingly, or painfully we live and experience race and racism in our lives today, it remains a social construction tied to powerful facets of our history that this story poignantly illustrates. W.I. Thomas' dictum works well here: "That which is perceived as real, is real in its consequences." Race is real, my friends, but not biologically. Rather it is tied to social, economic, and political forces that have given, and continue to give, rise to it. It's an everyday affair about which we all need to be more cognizant. It had been awhile since giving thought to Linda Gordon's excellent historical account, The Great Arizona Orphan Abduction. So many lessons to take away from another great book for race relations/Ethnic Studies scholars. Thanks to Juan Marinez for sharing. Continue reading here. smelter stained the air with sulfurous emissions, and some women blamed their infertility on the pollution. It feels like a long time since I've posted to this blog. I was quite busy last week with the Mexican American Studies (MAS) court case in the state of Arizona's District Court, either preparing for, or actually serving as an expert witness on, the benefits of Mexican American, and Ethnic Studies, generally, in Acosta et al. v. Huppenthal et al. Before that, I was at the University of Colorado Boulder (UCB) teaching a three-hour, two-week course titled Multicultural Education—that I playfully referred to as a "Multicultural Education Boot Camp." It was a course for masters and doctoral students and a substantial portion of it involved the court case itself, giving my students a fairly intimate, inside look into what has been going on with Mexican American Studies in the Tucson Unified School District in Arizona since it was dismantled on January 1, 2012. This happened a month after the law took effect that you can read about here. Just Google it. There's lots of pertinent stories—on this blog, included. It was a great experience for my UCB students, I feel, and important do do before the trial. As a college student once myself, I certainly would have appreciated a course like this one that gave students a veritable "front-row seat" to a precedent-setting, historic case. Journalist María Camila Montañez, who writes this post-trial piece below, importantly notes that Judge Tashima will rule on this trial in a matter of weeks. Yay! I am still processing the whole thing so I'm not sure what to say at the moment other than that we shall know in a few weeks, whether the side of justice, due process, and Constitutional rights and protections were won by what truly turned out to be an extraordinary effort by the expert witnesses, witnesses, legal team, and community. I'll write more on this later, but for now, kudos to Attorneys Richard Martinez and Luna Barrington from Weil, Gotshal & Manges LLP in Manhattan, NY, with whom I most closely worked in preparing for this trial. They are exceptional attorneys and great human beings. The entire team was, of course, truly outstanding! I was in great company as an expert witness with Yale History Professor Stephen Pitti and University of Arizona Professor Nolan Cabrera. It was interesting to fully grasp the fact that all three of us are not only Mexican American, but also Stanford University Ph.D.s and college professors who only came to know each other as a result of the case. Stephen and I even over-lapped at Stanford but we somehow didn't get to know each other at the time. There are just so few of us Mexican Americans in academia to begin with, that the universe surely conspired to make this happen. I was in Tucson Sunday through Thursday of last week. It was all very intense, as you might imagine. This is the culmination of a protracted 6-year, or longer, struggle. So the trial's ending is a much-awaited-for respite for all, at the very least. There were so many moving, powerful moments throughout such that as grueling as the experience of testifying was, it was all worth it. I feel even more confident than I ever have, that the work that we do in Ethnic Studies is not only life saving, but it is also just as potentially powerful and transformative for whites as it is for people of color. And for our youth, it promotes college-going, to boot! Some day, I hope that what we teach will simply be regarded as "good education," la buena educación. Regardless of the outcome, I am convinced, we are in the dawning of a new age, a new consciousness that has heretofore existed, unfortunately, only as subjugated forms of knowledge located at the margins of state curriculum, policies, and practice. This historic, legal challenge illuminates the vital importance of educator, student, parent, grandparent, and community advocacy for curricular inclusion like this noble and well-conceived attempt. For me personally, the whole ordeal was an amazing, truly worthwhile experience. It was great connecting with my dear friends in Tucson, Dolores, Nanie, Natalie Carrillo with sister Cal State San Francisco State University Professor Teresa Carrillo flying in from San Francisco to attend the trial and provide moral support. It was also special having Drs. Barbara Flores and Esteban Díaz from San Bernardino present. 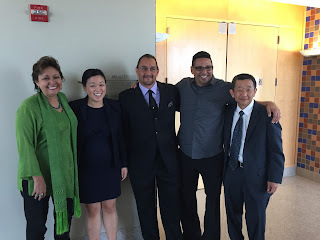 University of Arizona Dr. Francesca Lopez' work, friendship, and support was vital to the case, as well. Dr. Cesar Cruz Teolol also regularly attended the trial with his beautiful eight-year-old son, Amaru Agape, who reported regularly on the trial in his "All Power to the Kids News" broadcast on Facebook. His regular reports, as his father shared, provided much needed, "good medicine," to the entire effort. What a heart-warming highlight to know that the next generation will keep humanity on track! You can hear what he said about my testimony here on Facebook. I was so very impressed with, and humbled by, his report. I see a traumatized, but resilient community. I have witnessed admirable strength, commitment, and resolve. Their main "problem" was unapologetically disavowing bigotry in their pedagogy and curriculum together with challenging all forms of institutionalized oppression—in order for their students to live life confidently and intelligently as skilled agents of change in a democracy. 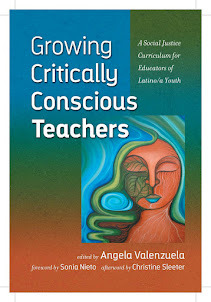 This was a rigorous curriculum that helped students see themselves in an affirming way while opening their minds to a world of college-preparatory, intellectually stimulating texts and thought that spoke to their experience while helping them to simultaneously develop a strong, academic self-concept alongside an awareness of their own potentialities. It helped them to feel part of the American story, nurturing that sense of belonging that is so woefully missing in so much of subtractive, K-12 schooling. Arizona is the land of my maternal ancestors, my mother and grandmother with roots that go back to the Mexican Revolution and northern Mexico from the towns of Arizpe and Hermosillo, Sonora. My family lived and worked in the mines of Bisbee and Morenci, where my grandfather worked by day, while working as a minister in a Baptist church in nearby Clifton by night, and on weekends. My mother was born in Superior, Arizona, located north of Tucson near Apache Junction, where my grandfather also ministered. My grandmother's grandmother was either Yaqui or Apache. Her name was Jesusita Yepes. My grandmother graduated from Tucson High School as a fluent, English-Spanish biliterate that served her and her family well for the rest of her life. Our entire family is therefore a beneficiary of the great education that my grandmother received there in the early 1900s. And Tucson is very much an indigenous space that renders it "contested terrain" even when things are going well—not unlike Texas and so many other places in the U.S. where we constitute little more, unfortunately, than a "demographic threat." 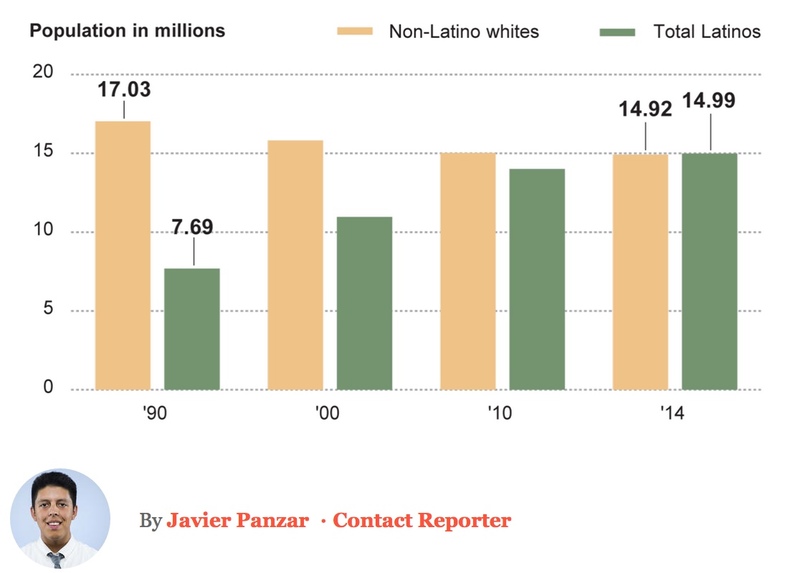 How lame this situation that we as a Latino community frequently find ourselves in, particularly when considering the amazing, indeed breathtaking, opportunities that are foregone with all that our communities and university-level, Ethnic Studies programs, have to offer! On Friday, closing arguments were delivered and you may access the transcript here [pdf]. We are cautiously optimistic about this, but ultimately, it is Judge Tashima's decision. Regardless, I will live the rest of my professional career and life with Arizona in my heart and mind. And I could not be more thankful or blessed. On Friday, the Mexican-American studies (MAS) trial in Tucson concluded without a ruling. U.S district Judge Wallace Tashima will make a decision in the next few weeks on whether the law was intended to discriminate against Latinos. This was the second part of the two-week trial. 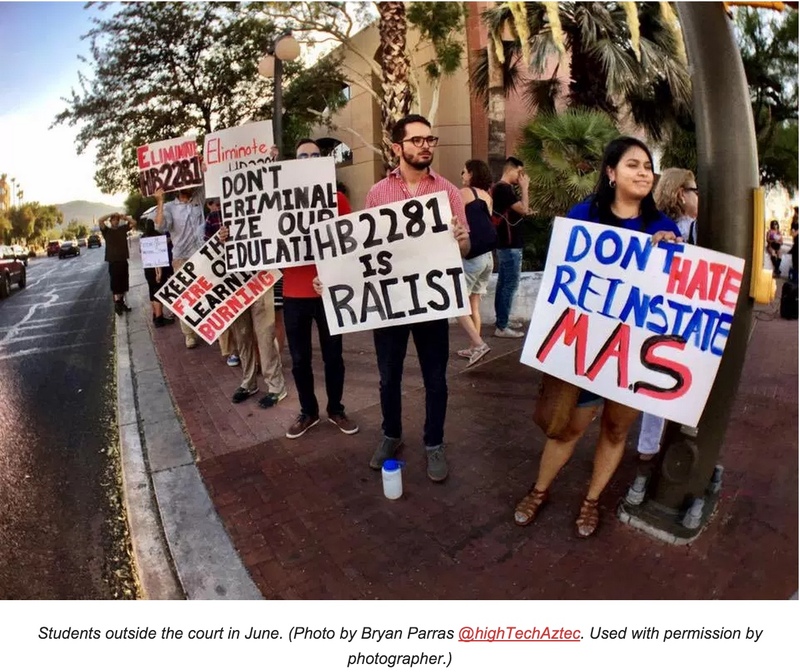 Former Attorney General Tom Horne testified on Tuesday, maintaining his position to keep the 2010 law that bans the MAS program and hoping it eliminates all ethnic studies at Arizona public schools, according to a story by HuffPost’s Roque Planas. Horne was one of the authors of the law, along with former Superintendent John Huppenthal, who testified in June during the first part of the trial. Lawyers defending MAS argued that Horne and Huppenthal specifically targeted the program unlike other ethnic studies. Former Deputy superintendent Elliott Hibbs also testified on behalf of the state. During the trial, the state questioned the program and its teaching of Che Guevara, according to witnesses in the courtroom. Academic expert Dr. Angela Valenzuela, a professor at the University of Texas, testified in support of the MAS program. She spoke about the benefits that the classes bring to students. She mentioned research, showing students who took the MAS program performed better that those who did not. People from around the country went to Arizona to support advocates of the MAS program. Excellent op-ed by my colleague, Dr. Richard Reddick that came out yesterday, July 14, 2017 in the Dallas Morning News. It states clearly and passionately why we as a public should support higher education. The recent results of a Pew Research Center survey on the public's views of colleges and universities are disheartening. Pew found that during the past year, Republicans perceiving higher education in a negative light increased 13 percentage points. Among Republicans, 58 percent now perceive colleges and universities negatively, while 36 percent viewed them as positive. Among Democrats, 19 percent see higher education as negative while 72 percent see it as positive. It's no secret that one likely cause of this change is the 2016 presidential election and the political climate that followed. College campuses were, and still are, the sites of protests leading up to and following the election. This is part of the role that universities have historically played as sites of social activism, from Edward R. Murrow's leadership of the National Student Federation of America in the 1930s to the student protests over Vietnam and civil rights in the 1960s and 1970s. But what is different now are the ways in which we understand events taking place on campuses. In addition to these results, Pew also reported similarly wide gaps in the perception of the national news media between Republican/Republican-leaning respondents and those on the other end of the political spectrum. Americans are accessing other sources such as Facebook, Twitter and blogs for news, which can radically skew one's perception of what is actually occurring at the nation's more than 4,000 campuses. In the 1960s, former University of California president Clark Kerr introduced the term "multiversity" to describe higher education, with manifest ideas of knowledge production and dissemination, for a multitude of constituents. Kerr said, "The university is so many things to so many people that it must, of necessity, be partially at war with itself." Universities, by their nature, are chaotic places, but one of the few where the purpose is to bring together individuals with diverse identities and beliefs to engage in a better understanding of the world. It is tragic to think that a sizable population of Americans views this opportunity as adverse, or worse nondesirable. And especially at a time when a larger proportion of historically underrepresented students — students of color, low-income students, immigrant students and nontraditional adult students — are comprising the higher education landscape. Another cause for these results likely relates to the increasingly high costs of college. Researchers have detailed the 30-year trend of declining state appropriations to colleges and increasing tuition at public and private institutions. 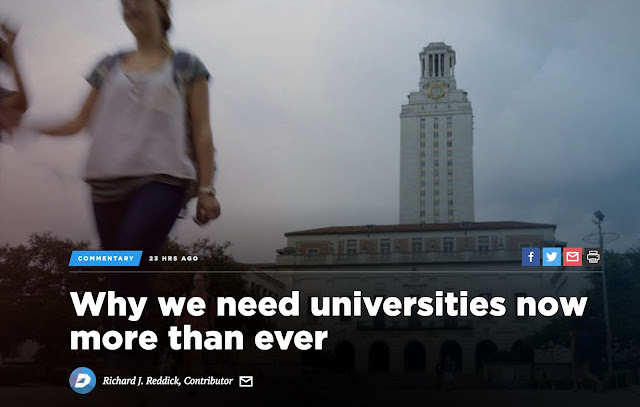 Coupled with increasing amounts of student debt and a diminishing number of full-time faculty members, the recipe for dissatisfaction is a potent one. More of us need to understand that universities are learning organizations that are often at the forefront of longstanding social challenges. There are, at times, missteps in how to engage with one another, but it often starts with inaccurate or partial information. Civil and productive discourse is essential to the development of critical thinking, and hopefully the solutions to problems that bedevil our society will originate when people engage, debate and analyze different perspectives. But this opportunity is often thwarted by a mentality that seeks to find "both sides" of an argument when one side denigrates, obfuscates or demeans the humanity of the other. All members must cultivate an approach that seeks to elucidate and educate, rather than insult and intimidate. Social injustice — such as racism, sexism and homophobia — persists. But if we cannot summon the courage to engage and discuss the causes, effects and solutions of these ills, we are fated to perpetuate them. By their very nature, colleges and universities are not sites to uncritically absorb dogma or ideology. The marketplace of ideas only functions with a full understanding of the histories and lived experiences of all those who inhabit it. If anything, the results of the Pew survey suggest that we need greater engagement with ideas across the political spectrum, with less of the vitriol endemic to the political arena. With so few institutions that purposefully engage with diverse perspectives and experience, the role of the university has become more critical than ever. Big news! 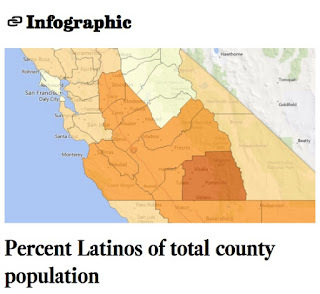 Latinos, as projected, outnumber whites in California. I see California entrepreneurs preparing for this under the aegis of Code2040, an organization that seeks to diversify high-tech firms that are otherwise largely white. By 2040, whites are expected to be the numerical minority, nationally. Their premise is that corporations that know how to deal with diversity will be those that survive, whereas those that do not will fail or not do as well. However to "do well" with diversity, they must also be diverse and now is the time to be intentional about that. The shift shouldn't come as a surprise. State demographers had previously expected the change to occur sometime in 2013, but slow population growth pushed back projections. In January 2014, the state Department of Finance estimated the shift would take place at some point in March.Either way, the moment has officially arrived.